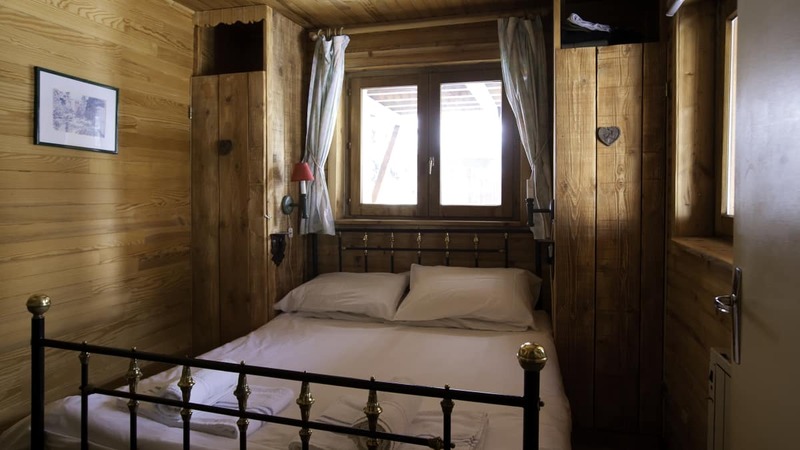 Chalet Laponia is a cosy and homely chalet which has been charmingly decorated just a 3 minute walk to the village centre. 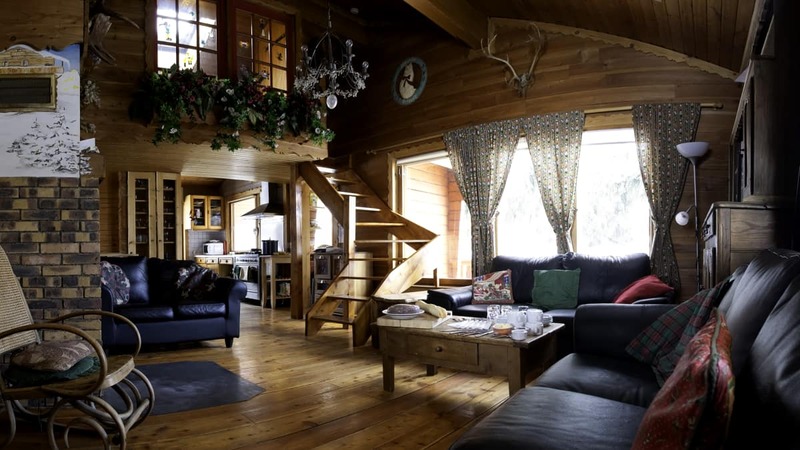 Chalet Laponia has a light and spacious lounge with a glass-fronted fireplace and comfortable seating and a separate dining room. 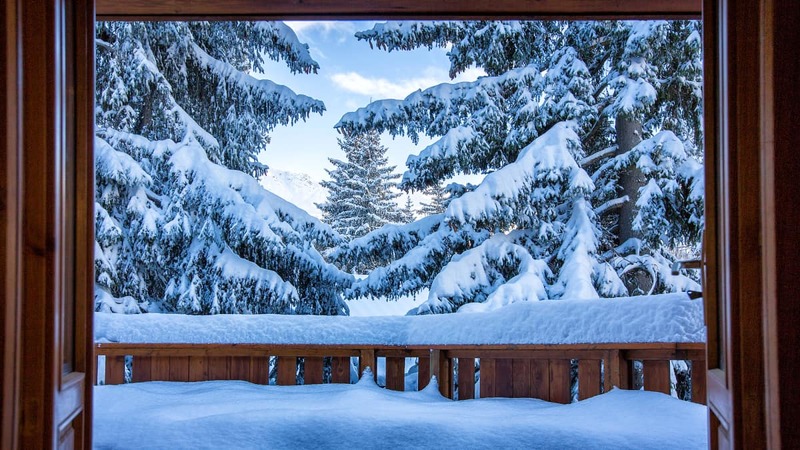 A door leading from the kitchen gives access to a balcony with views across the valley from La Plagne. Guests also have the choice of relaxing in the private garden to enjoy the alpine air. 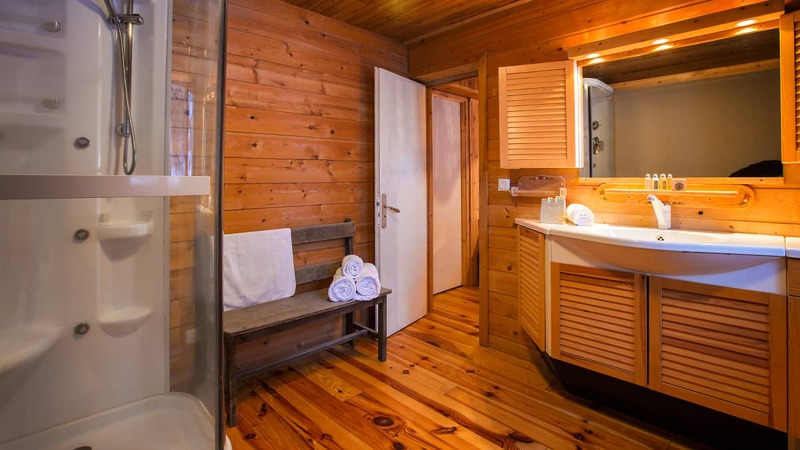 Chalet Laponia is set amongst the trees just a 3 minute walk to the village centre. The nearest bus stop is 75m away. From here the regular local bus gives guests the option of the short trip up to Plagne Centre or to Plagne Bellecôte, the departure point for the Bellecôte glacier. Alternatively there is a picturesque woodland walk from the chalet up to Plagne Centre. All the bedrooms have en-suite showers and there is also a bath downstairs. 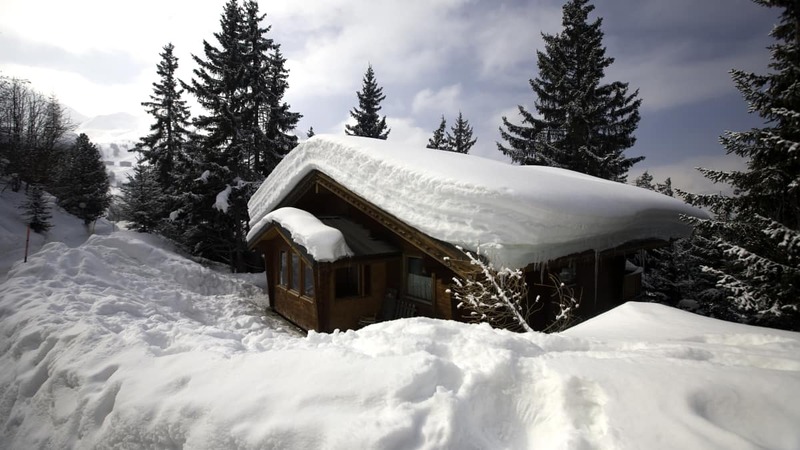 There is a convenient heated storage area at the entrance to the chalet for skis and outdoor wear and it is equipped with free Wi-Fi. Please note that the stairs from the lower ground to the ground floor, as well as those to the mezzanine above the lounge, are a bit steep but the mezzanine does provide a separate play area for kids. Young children should be supervised. Room 2 can take a cot. 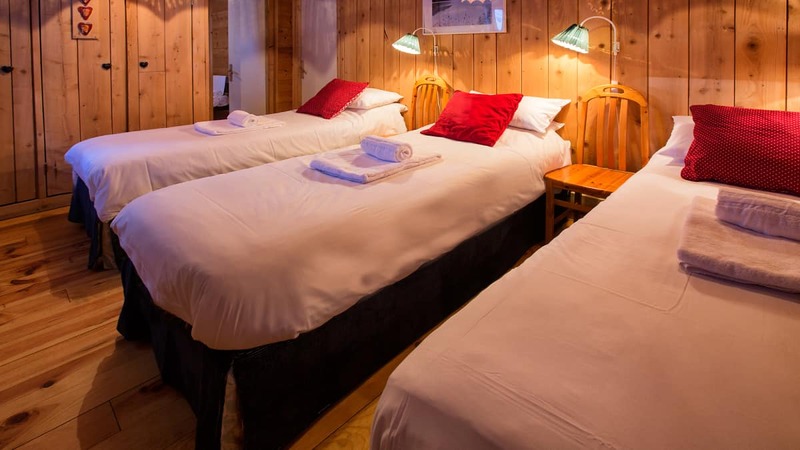 If booking the whole of Chalet Laponia, an additional childs bed can be put in room 2. The Chalet Laponia host lives out. 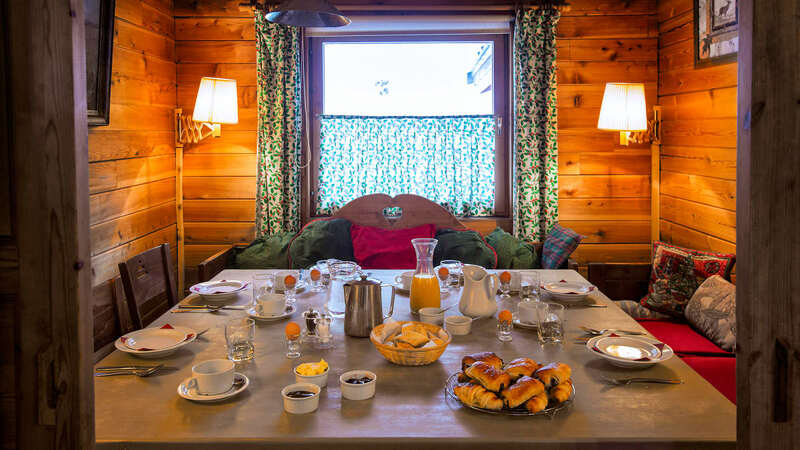 Offered on a catered chalet basis, your holiday will include a cooked and continental breakfast, afternoon tea/coffee and cakes, and a 3 course dinner including a choice of complimentary, quality wines followed by coffee/tea served in the lounge. Breakfast and dinner will be served on 6 out of 7 days and a continental breakfast will be left out on 1 morning.